Industrial Gearboxes are the type of rotating machines that use gear and gear trains to transmit speed and torque in order to move the other devices. The work in tandem and provides a mechanical advantage that offers excellent power transmission. With the multiple gear ratios, it is possible to switch between different speed and torque as per the requirement and this can be done manually or automatically. 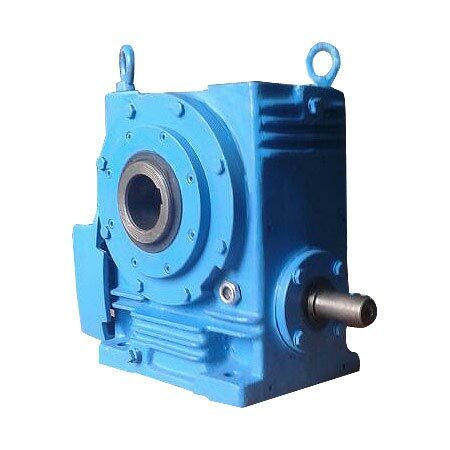 Mostly a gearbox is preferably used to provide an increment in speed and decrement of torque. Our range of gearboxes is fitted with best quality rolling bearings that make these high performing and more reliable, and thus is more competitive in the market. Simpler in design, these machines provide optimum transmission of power with excellent efficiency. The industrial gears offered by us are very adaptable and hence are well suited for myriad of industrial applications like wind-turbines, agriculture, oil and petroleum industry, automobile equipments, mining, construction, movable bridges, tunneling etc.